The Organization of American States (OAS) has launched a US$500,000 project to assist the region’s small and medium tourism enterprises (SMTEs) to build resilience to natural disasters. The project was launched during the 2nd Global Conference on Jobs and Inclusive Growth: Small and Medium Tourism Enterprises (SMTEs), hosted at the Montego Bay Convention Centre by the government and the United Nations World Tourism Organization on January 29. The project is funded by the United States Department of State and managed by the OAS Secretariat for Integral Development. It will assist small tourism enterprises in the Caribbean to overcome the various challenges that affect the ability of Governments and businesses alike to continue their business operations during and after catastrophic events in the Caribbean. Participating countries set to benefit include: Antigua and Barbuda, The Bahamas, Belize, Barbados, Dominica, Grenada, Haiti, St. Lucia, St. Kitts and Nevis, St. Vincent and the Grenadines, Suriname, and Trinidad and Tobago. It will be carried out in a two-year period, with the primary aim being to reduce the severity, impact and duration of disruptions caused by a disaster on the operations of the small enterprises in the Caribbean. “The Caribbean is among the most tourism-dependent regions in the world and there is no other region whose travel and tourism industry is as vulnerable to disasters as the Caribbean. 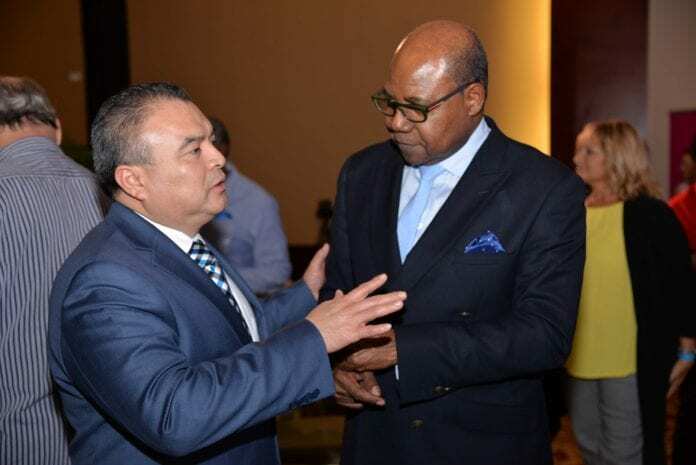 It is undeniable that climate change presents an existential threat to small island developing states and low lying coastal areas, which include the countries of the Caribbean,” said Assistant Secretary General of the OAS, Nestor Mendez. This 2nd Global Conference on Jobs and Inclusive Growth: Small and Medium Tourism Enterprises (SMTEs), is a direct response to the global conference on jobs and inclusive growth hosted in Jamaica in 2017, which brought to the fore many of the perennial challenges faced by SMTEs, including issues of access to credit, marketing, technology and business development. The conference organisers therefore saw it prudent to have another event focused solely on SMTEs and best practices that have direct relevance to their development. A 6.1 magnitude quake struck the western side of Iran today, August 25, 2018, at 22:13:26 UTC, killing one. Two weeks after a mid-air collision was narrowly avoided in the Kenyan airspace, aviation safety concerns in African skies remain a key debate among the continent’s aviation departments and governments. Are German Tourists in Turkey Government agents? November 11 was Nomination Day for the coming Presidential Elections in Seychelles and 6 candidates have been confirmed as Presidential Candidates for the December 5 elections.